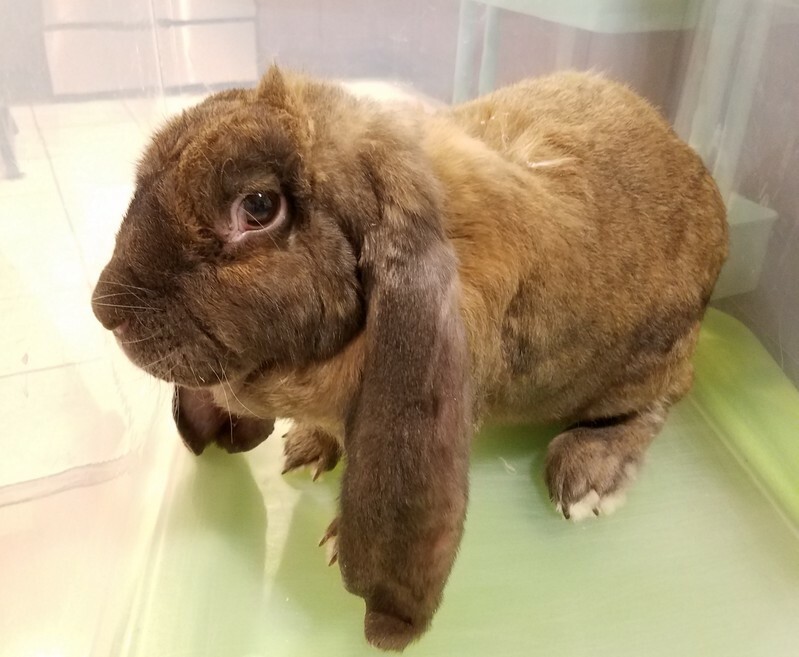 Kief is a large sweet english lop with ears half the size of his whole body! He is a gentle boy with a wonderful temperment. He will touch noses with both dogs and cats along with all kinds of animals, he is incredibly fearless and is very curious about his surroundings. Keif spent most of his life in a cage that was only big enough for him to turn around in and because of that he is still working on his litterbox habits. He was bought by a breeder to be used for breeding but ultimately it didn't work out so he was sold for 50$ to be used for "whatever" the buyer wanted him for. Luckily this boy was bought by someone willing to find him a wonderful home. Despite all the difficulties he's lived through in his short life Kief is nothing but sweet!